Add a little escapism to your keyring! These engraved round keychain fobs feature a simple picture and message. 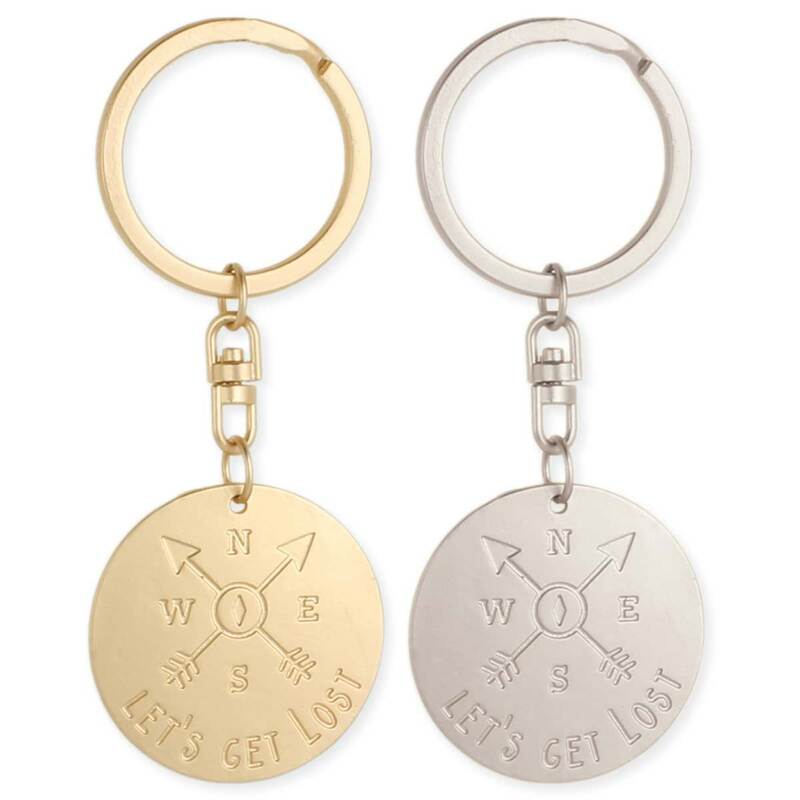 Engraved with a arrow & compass design and the message, Let's Get Lost, use this gold or silver keychain the next time you need to get away!